Visiting any location with children can present some difficulties as there are many facilities that simply aren’t designed for full families and the problem intensifies when traveling abroad. Sure, you can enter any restaurant with your children but is it really designed to accommodate them? Before you visit any Tallinn restaurants with your family, read through our list of family friendly restaurants to make your visit both enjoyable and memorable. 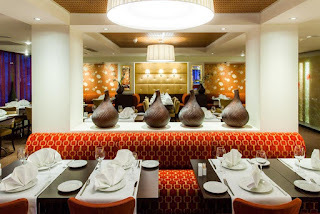 Restaurant "Korsten, Armastus & Hea Toit"
The delicacies that come from the kitchen at Korsten simply cannot be argued with; the menu allows guests to choose from a plethora of Italian dishes and even daily specials to please their palette. If you’re looking for something different to break up the everyday culinary monotony you’ve been experiencing, then stop in, bring your children, and enjoy the amazing indoor 50-seat atmosphere. If the indoors is too much for you however, try having a seat on the sunny terrace or in the Kultuurikatel private courtyard. 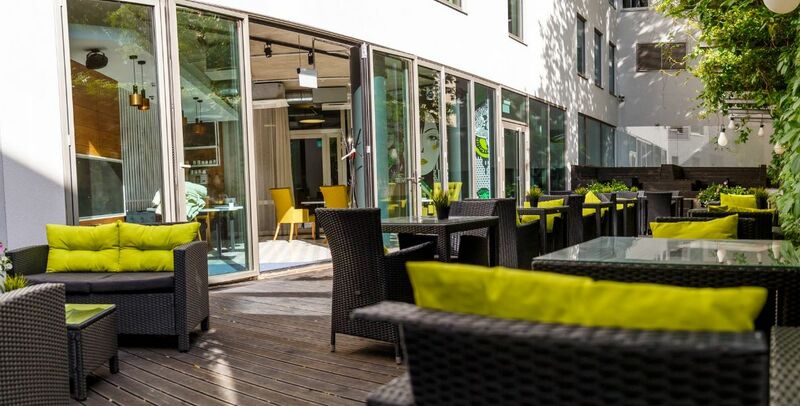 Sip a cocktail, enjoy a meal, and enjoy your stay in Tallinn. Older children will be able to enjoy a full featured menu just for them and younger children will be able to take advantage of a high chair, separating them from the adult table. In addition, while you’re waiting for lunch or dinner to arrive, they can draw with house provided art supplies. Once the meal is over, your children can retire to a well-designed play area, filled with toys. Platz is situated in Rotermann Centre, right in the heart of the city. If you’re looking for a quick lunch with your children, then this is as good of place as any no matter what you’re looking for. It could be a quick lunch or it might be a full multi-course dinner. Platz is no stranger to either of these rituals and the menu features a wide selection of wines to wash down every bite. You can choose dishes from the a la carte menu if you wish, and it features accommodation for every diet, including gluten free. The Platz lunch menu changes each day, so you’ll never have the same experience no matter how many times you visit; make sure you check out the Platz website for changes! 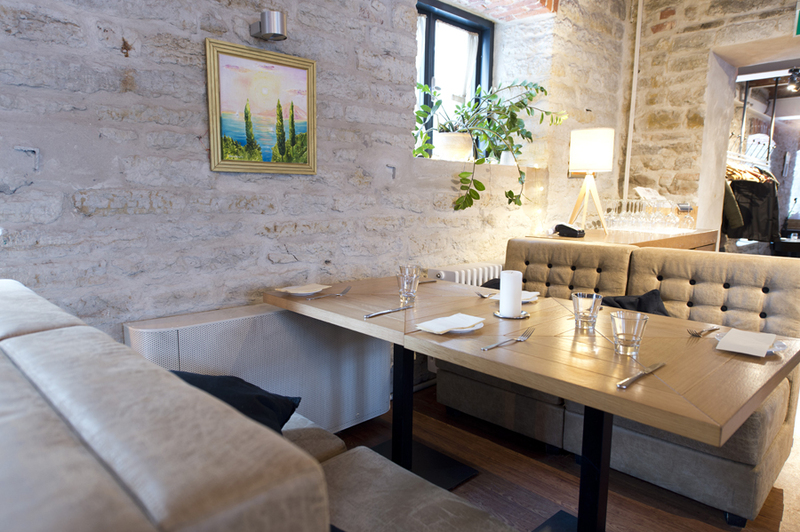 Like other great restaurants and cafes in Estonia, you’ll find plenty of accommodations for the little ones which include a children’s high chair for those who can’t utilize a standard chair. Older children can spend their time in an outstanding play area where they can enjoy themselves. There’s definitely a lot to like here for both you and your children! Follow this link to book online. Are you looking for a restaurant with a Mediterranean feel and an intimate atmosphere? Congratulations; you’ve found it! The only thing that is more surprising than the incredible atmosphere are the menu prices. Senso is located within the Radisson Blue Hotel, a structure built for the 1980 Olympics and has undergone a complete renovation. Children are certain to be kept busy here as the restaurant features a full children’s menu with tasty delights along with a high chair for the little ones. There are also coloring books for the wait time (the wait times can seem like an eternity for children!). If sitting at the table isn’t adequate, there’s a play room available complete with a toy cupboard to entice the imagination. Finding a quick dessert in Tallinn isn’t a difficult affair; Café Mademoiselle offers the most amazing pastries and cakes in the city, baked to perfection. The pies and pastries absolutely melt in your mouth, and coffee lovers will definitely find a home here as well. Though an actual visit to the café is going to be preferred, you can actually place an online order and have all of the culinary delights from the menu delivered to your door by a courier during specified times; it’s deliciousness that comes right to your door. The Café Mademoiselle offers ample accommodations for children of all ages. Whether they’re staying by your side at all times or if you trust them enough to their wander around a bit and explore what the restaurant has to offer them. The play corner will keep your older children occupied after their meal while high chairs and a children’s menu will help to keep things under control at the table. Other accommodations include the ability to host birthday parties, free coloring books, drawing paper, and a child friendly attitude that you will appreciate. 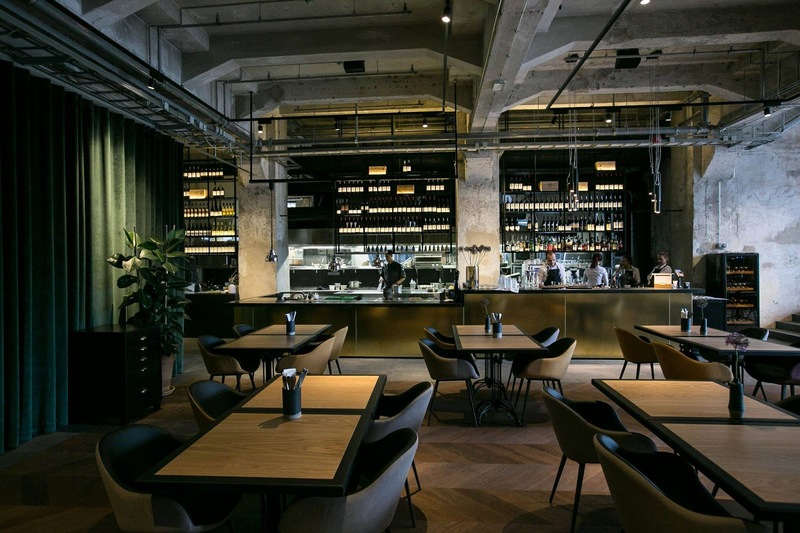 For nearly twenty years, Carmen Café has served as a culinary staple in Tallinn, serving the best coffee, the most amazing foods, and providing meals for all times of the day. Their specialty? Breakfast, lunch, and pretty much anything in between. 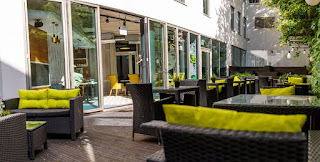 The food and quality cannot be argued with as it provides high quality coffee and mouthwatering desserts for those who want to take a break from their vacation in Tallinn. This is the perfect place to spend your lunch and the perfect place to make a memory. The café has plenty of accommodations for children including high chairs, a full featured children’s menu, coloring books, board games, and hosts and hostesses with child friendly attitudes that you have come to expect from a professional establishment like this. 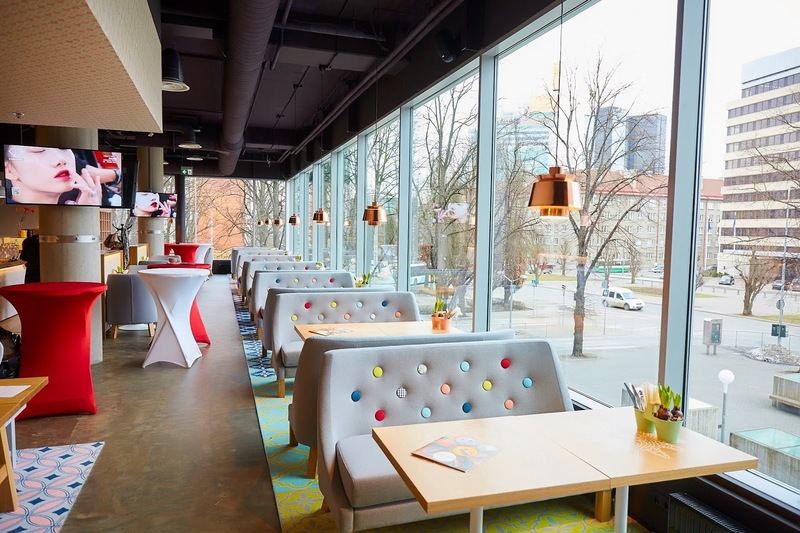 Traveling through Estonia and Tallinn with your children can present many challenges, but finding a place to eat doesn’t have to be one of them! There are plenty of great child friendly locations with tons of activities to keep them busy while they’re not enjoying the local cuisine. 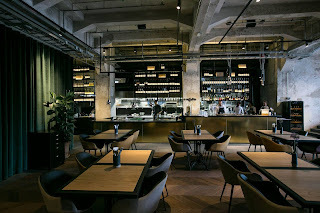 Meta Description: Learn about child friendly restaurants in Tallinn with this handy guide to the area’s culinary delights today. No Comment to " Tallinn Restaurants to Visit with Children "